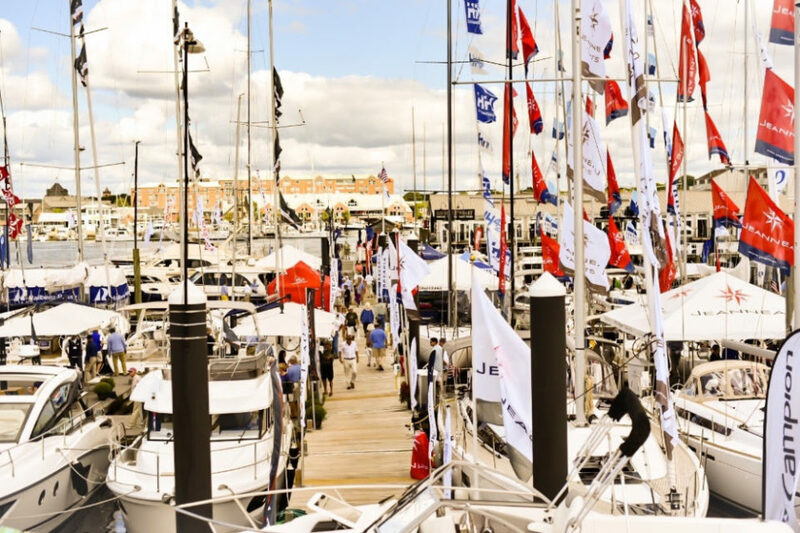 Newport, RI – Newport Exhibition Group, owners and producers of the Newport International Boat Show, announced on Wednesday that the Boat Show, which opens at 10 am this morning, is filled to the brim with a record number of exhibitors, and has organized more activities and attractions for showgoers than ever before. Thursday, Friday & Saturday, September 13th, 14th, and 15th: 10 a.m. to 6 p.m.
Sunday, September 16th: 10 a.m. to 5 p.m.
Thursday, September 13th, Preview Day: Online and at-the-gate tickets are $35*. Friday, Saturday or Sunday, September 14th, 15th or 16th advanced tickets are $15* until September 13th and day-of tickets are $22. Two-day discounted ticket packages are also available online, valid Friday through Sunday. Children under 12 are admitted free all days when accompanied by an adult. Friday, September 14th only, visitors with a valid Military or Newport County Resident ID pay $12 admission at the ticket booth (This discount cannot be combined with any other discount offer). For more information on the 2018 Newport International Boat Show, and to purchase tickets visit www.newportboatshow.com.